Children are happiest, healthiest, and most open to learning when they are outside interacting with nature. In practice in Europe since the 1950’s, Outdoor (or Forest) Kindergarten has been steadily growing in popularity in North America. 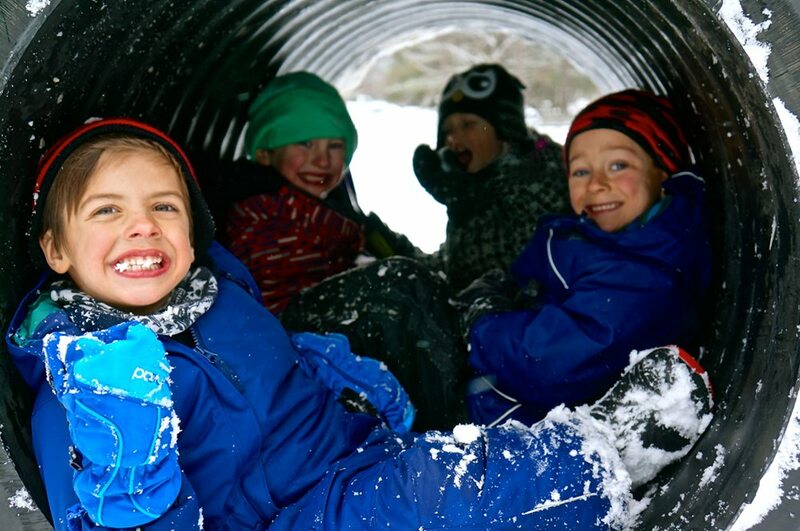 The philosophy at the core of Outdoor Kindergarten is the belief that children are happiest, healthiest, and most open to learning opportunities when they are outside interacting with nature. Outdoor Kindergarten is Early Childhood Education that uses nature as its classroom. The Kindergarten program at Tawingo College. Video created by The Laboratory School at the Dr. Eric Jackman Institute of Child Study. Why Outdoor Kindergarten at Tawingo College? The incredible 270-acre Tawingo site and our intimate class sizes give us a unique opportunity to provide a cutting-edge outdoor kindergarten program. Children in the Tawingo College Kindergarten program spend most of every day outside! Even more than that, we need awe-filled, curious, grounded, responsible, secure, creative, connected children…and those children need awe-filled, curious, grounded, responsible, secure, creative, connected adults to inspire them. We believe Outdoor Kindergarten at Tawingo College is the way to protect, foster, nurture, encourage, and celebrate the values, skills, and traits we so desperately need in the next generation. What about reading and writing? What about math? Will my child be ready for Grade 1? There’s no reason why early literacy and math skills can’t be taught outdoors. In fact, teachers of every grade and subject are encouraged to use our outdoor “classroom” as much as possible. Nature offers so many more meaningful learning opportunities than the four walls of a classroom. 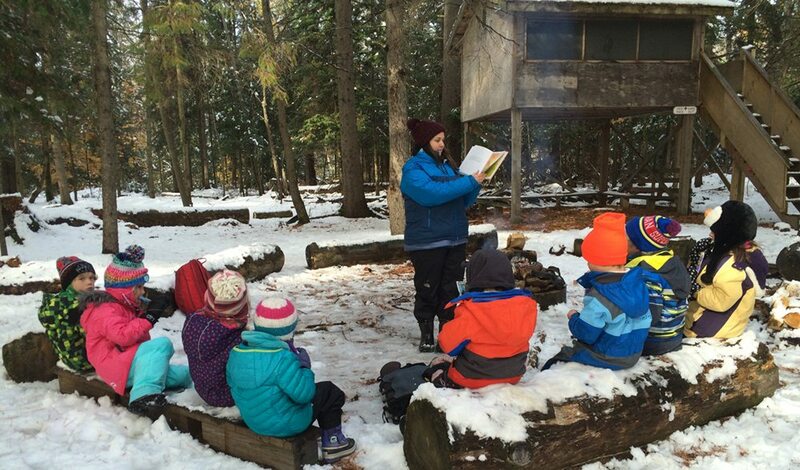 Our students benefit from discovering that learning doesn’t just happen while sitting indoors at a a desk, but literacy and math are all around us and their academic skills are organically honed during play and outdoor discovery. The push in public schools now is for “authentic” problem-solving, and increased handling of manipulatives. What could be more authentic or intrinsically motivating than the opportunities for counting, measuring, comparing, and sorting that are provided by nature? But are they going to be outside even in the rain? What about winter – will they be outside in the cold? 8:30 – 9:15 Arrival, outdoor play, morning circle, snack. 9:15 – 10:30 Bathroom, daily walking adventure, story, free exploration. 10:30 – 10:45 Recess in Lower Yard with Grade 1 and 2 students. 10:45 – 11:00 Indoor snack and bathroom break. 11:00 – 12:00 Structured/ planned/ guided activity time. 12:00 Morning students go home. 12:00 – 12:30 Self-guided exploration/play. 12:30 – 1:30 Lunch and recess in Lower Yard with Grades 1 and 2 students. 1:30 – 2:15 Indoor bathroom break, fine motor development/ letter formation/ recognition, centres, snack. 2:15 – 3:00 French/ Drama/ Music/ Art/ Outdoor Ed./ Phys. Ed. 3:00 – 3:30 Self-guided exploration/play. 3:30 – 3:55 Clean up jobs, closing circle, recap of the day. * Why do they get recess when they’re outside playing all day? One of the most beautiful things about Tawingo College is that all of the students know each other. The younger children don’t fear the older students. They look to them for help, and they look up to them as role models and highly-desired playmates! This comes from playing together at recess, and we believe it is extremely important that the Kindergarten class have this time to interact with the older students. able to dress and undress independently (coats, snow pants, etc.). We will be accepting applications for those children who meet the above requirements on a trial basis. (*PLEASE NOTE: enrollment for Pre-Kindergarten students is limited.) At the end of September, we will assess each student’s degree of success and compatibility with the program and determine if the child should continue for the remainder of the year.